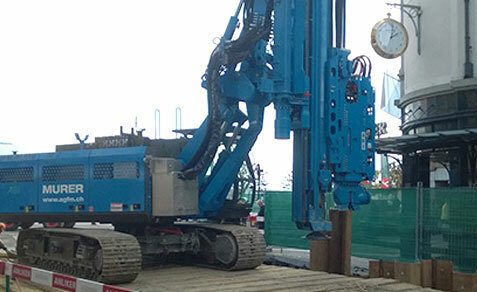 Vibro-pile is used as an alternative to pre-cast piles or drilled cast-in-situ piles in soft grounds especially when vibrating a can/probe is faster than drilling and casing or when vertical tie downs are necessary. 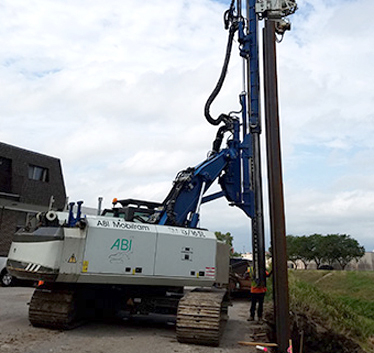 The multi-purpose ABI Mobilram is the ideal piece of equipment for vibro-pile applications. 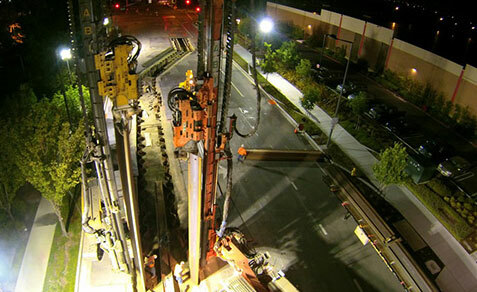 High production, low cost, superior quality piles. No spoils are removed from the ground. The material is "densified" around the pile providing more bearing and lateral load capacity. The casing/probe hole is sealed and there is no possibility of contamination of the pile. The foot of the pileis flat and gives a better end bearing load capacity. The diameter of the pile can be expanded by pumping concrete under pressure while withdrawing the relatively small diameter probe.